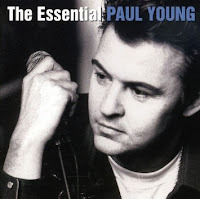 Blue eyed soul singer Paul Young scored his biggest US hit with the 1985 number one hit Everytime You Go Away. He's a much bigger deal in his native England. He has had problems with his voice that has curtailed his career. But he's still around and he just released a new album. He was born Jan. 17, 1956 in Luton, Bedfordshire, England. He started out as a bassist. But in the 70s he was lead singer of Kat Kool & The Kool Kats and then Streetband who scored a top 20 hit in England with the novelty song Toast. After Streetband split up, Young formed Q-Tips and he started writing songs with keyboard player Ian Kewley. Q-Tips signed with veteran producer Mickie Most and his RAK label. They recorded two albums with modest success. But they split up in 1982 when Young signed a solo deal with CBS Records. Working with Ian Dury & The Blockheads producer Laurie Latham, Young's 1983 debut album No Parlez did well in England and his cover of the Marvin Gaye classic Wherever I Lay My Hat (That's My Home) was his first British number one hit. But Young's 1985 album The Secret Of Association also did well in the US. And the single Everytime You Go Away topped the Billboard Hot 100. Everytime You Go Away was written by Daryl Hall and it appeared on the 1980 Hall & Oates album Voices. They never released it as a single. It turned out to be Young's biggest hit in the US. For one thing, he was having problems with his vocal cords. And rest was the only thing that seemed to help. Young continued to record but he couldn't tour as he would have liked because of his voice problems. His other top ten hit in the US was his 1990 cover of The Chi-Lites classic Oh Girl. You can get all of Young's hits on this budget comp. He left CBS in 1993. He briefly reformed Q-Tips and formed the Tex-Mex group Los Pacaminos in 1995. He continues to record as a solo artist and with Los Pacaminos. Young released a new CD Good Thing last week and he is touring Europe to support it. Here's the video for Everytime You Go Away by Paul Young.